Ruptly cameraman Jose Sequeira has been attacked while filming a rally organized by the anti-migrant PEGIDA movement in Dresden. The assailants did not stop beating him even when he fell to the ground and also broke his camera. 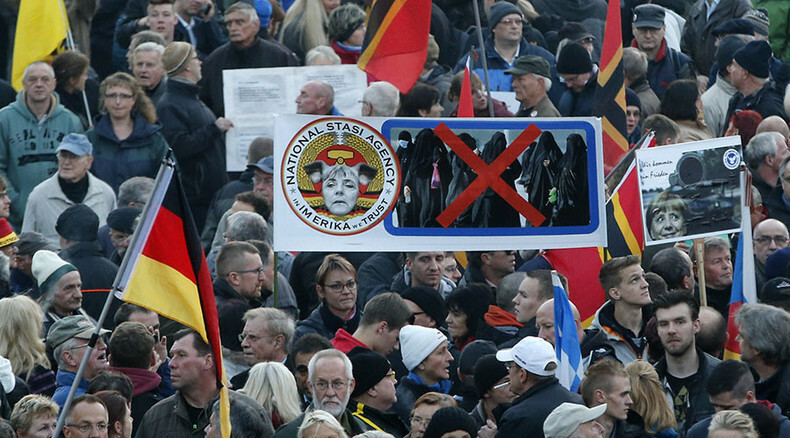 A massive rally organized by the anti-migrant and anti-Islamization PEGIDA group took place in Dresden on Monday, which also marked one year since the movement’s formation. RUPTLY – RT’s video agency – dispatched a crew to film the event. Jose Sequeira was attacked by unknown demonstrators during the rally. URGENT: @Ruptly producer was attacked by several people during Pegida demonstration in Dresden, his camera broken. “There were six or seven of them… They were punching me on my back and my head,” he also told RT over the phone. The cameraman said the assailants did not stop attacking him even after he fell to the ground. He was eventually pulled out by police. Following the incident, Jose went to the police station to testify on the attack. He does not appear to have sustained any injuries.